Next is the breast plate. Again, I have to avail myself of good leather. I will have to get creative on this one. Hey, everyone! I'm back! Did you miss me? Did you? Lots of fun things happened since I last posted. Apparently I'm a homoromantic demisexual. The things you learn. Hi everyone Aubreay Fallowfield here and I'm a big ole 'mo. Hi to Miranda, missed you at Tamworth, hope the cars alright. I like to add a bit of rainbow to my outfits either with a rainbow handkerchief in my top pocket or alternatively the "Order of the Rainbow Peacock" medal I created for those of us with a rainbow disposition. Everyone in our big group here in the West Midlands knows all about me and I refuse to go into a closet. I can be a bit sarcastic especially with those who are intolerant. No scratch that, I can be VERY sarcastic! Welcome back dear Mx. Nighhawk! As you can see, the old thread you started has run it's course, so I took the liberty of starting a new one. You as well, Mr. Fallowfield! Once in a summer trip, decades ago, my grandparents and I took our 25 ft RV to San Francisco. I had the custom of picking up souvenir stickers from all the places we'd visit, and I'd stick them on my bunkbed's headrest. In Sam Francisco I kept seeing all these rainbow stickers. Rainbows of all sorts. Metallic stickers, rainbows over a waterfall, with clouds of vapor at the bottom, you name it. Not knowing what it meant, I bought one, and later my grandparents asked the meaning of it at a local gas station. I had purchased a multicolour metallic rainbow sticker... I must have been about 12 years old. After a couple of eye rolls and chuckles with the front desk attendant, they decided it was OK. Why not? It was one thing that made San Francisco famous. They didn't have a problem with the symbol's meaning. They were very open minded that way . I later came out as a cross dresser to my grandmother when I was 18, and she was extremely supportive, proving again that they were very tolerant and open minded. That... thing... is terrifying. Very "War of the Worlds"-esque. Yeah. It's a "scaremen." That contraption is used by the crows to scare humans. That is exactly what it was - the theme was authors, characters and books. I particularly liked the red rope strung out with fairy lights as the heatray. Wondering whether I should do some last minute spending for Halloween. It is the first time since I started this costume idea about two years ago(!?! ), that I have all the major components. 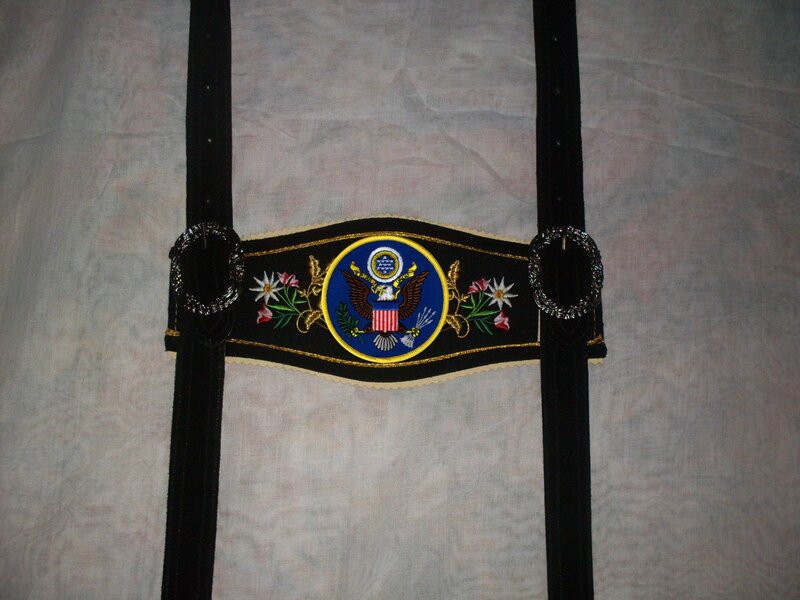 The only thing missing is the Lederhosen braces (suspenders) with the "breast plate" and insignia. 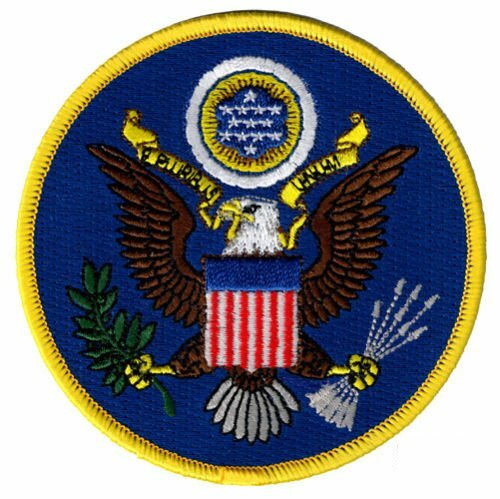 Americans don't use heraldry in the same way as the British do, but there is in fact some true American heraldry, a lot of it military and government heraldry since the inception of the Republic, and the United States has a coat of arms embedded in various government symbols and physical devices, such as the Great Seal of the United States (https://en.wikipedia.org/wiki/Great_Seal_of_the_United_States). I tend to like the vintage shape a lot better. The idea is to purchase the cheaper breast plate (the one that has the rooster/bird?) and place the shield on top (perhaps even not permanently. 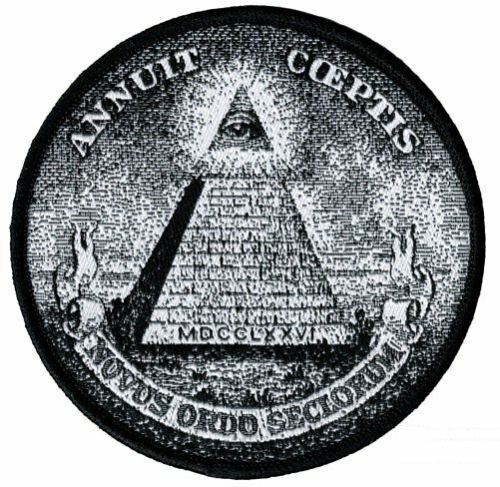 Some patch sellers even have the really mysterious looking reverse side of the Great Seal Maybe I should use this as a shirt patch? One shoulder would have the shield as well and the other the pyramid one, maybe as some sort of military/intelligence division? The reason I am inclined on using the coat of arms, is that as far as I know, soldiers on the field never wore the flag on the uniform. Neither would they wear a name tag anywhere on their uniform! The flag was a physical item that was flown in the battlefield. My impression is that the practice of wearing the flag really didn't start until well into the 20th. C.
I'd probably want insignia on the blouse as well They're very inexpensive. But the correct thing to do, historically speaking is to not have patches on the blouse other than shoulder insignia. I think that a single coat of arms on the breastplate and "shoulder boards" on the blouse would give a much more authentic look for the era. But that US Flag shield, prominently shown is definitely a "must," because it just screams "1885." I even found "imitation" military shoulder boards. 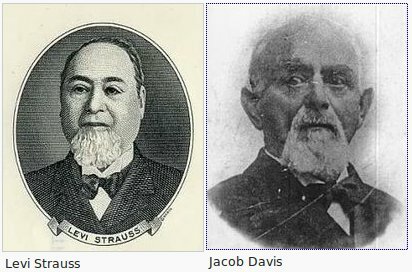 It has been discussed many a time, the importance of not wearing real or current insignia and/or awards such as medals in Steampunk uniforms. 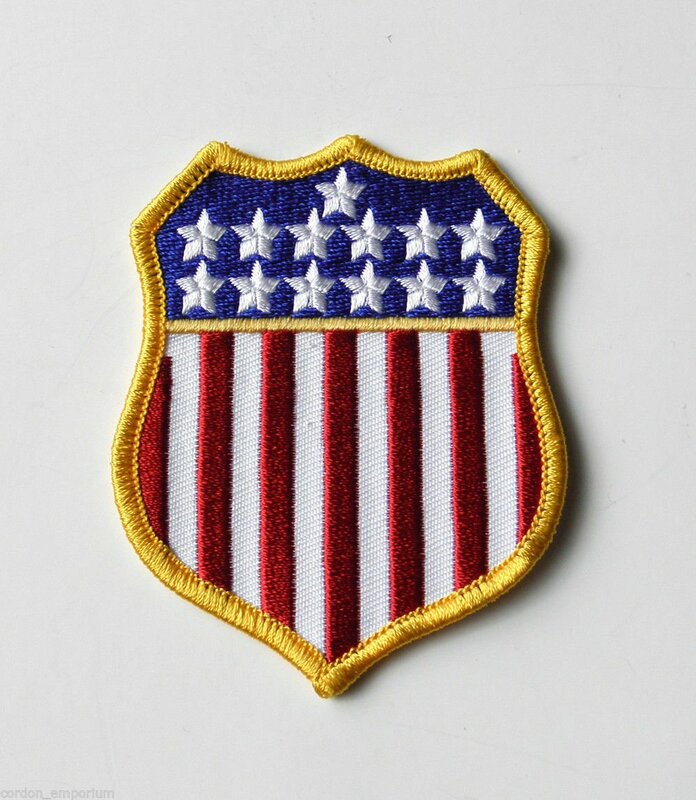 The best thing about all these patches is that they are not part of a real uniform past or present - they simply look the part. 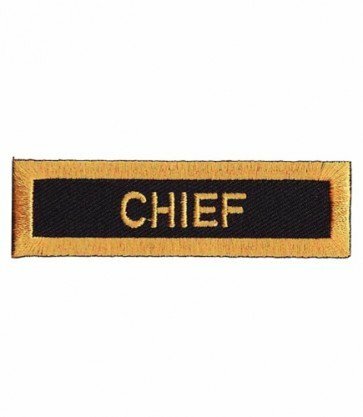 For example, for the rank shoulder boards, I found these patches, which at $4 are much cheaper that the $15 Civil War/ Indian War era reproductions you get at USHist.com. * Fatigue Blouse is basically a short, light and cheaply made lined canvas coat worn over one's shirt. Basically today in the civilian world it'd be equivalent to wearing an informal light jacket over one's shirt and braces. I bit the bullet and ordered the Lederhosen braces/suspenders, the (unofficial) US shield patch, and the "chief shoulder boards" insignia. So here it is folks, at least design-wise using my virtual model, this is what we have so far. I'm hoping that the patches and lederhosen braces will arrive in time for Halloween. Minor details are to sew buttons on the shorts for the Lederhosen attachments and perhaps attend to a new pair of brown socks and a pair of boot socks I'll try to buy in person today (I will aim for black or striped brown/grey calf length socks if I can). The ensemble is looking very good, and I think the shield was definitely the best choice - the full seal would probably have looked a little too 'busy' to work with the rest of the outfit. I'm unlikely to spend more money, as I have definitely reached (and passed) my budget for this month I'm still inclined to a shrug/bolero/cropped coat, but that is difficult to do right now. Just thinking aloud, I'm wondering if it's feasible at all to consider accessories. The last two optional accessories, are of course the coat and a hat. 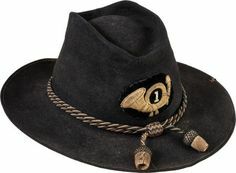 Much easier to find are black and grey felt hats and appropriate insignia, as wool coats/blazers to adapt are much more expensive and difficult to find. It's reasonable to expect that wool hats would be issued to fit the crew and it is also reasonable to expect that traditional alpine hats could be adapted just as the Lederhosen were adapted. I just worry that it might be going too far into Cliche-land. 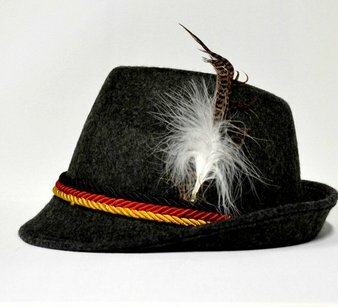 I took me some time, but the issue is that most felt Trachten hats available in the US are very cheaply made for the tourist market (read "caricature" Oktoberfest type of costume paraphernalia - either German or American), and on top of being of (very) poor quality, they only come in green or light grey. While dark green is the classical colour for Trachten hat, light grey and and lime green are most definitely not!! 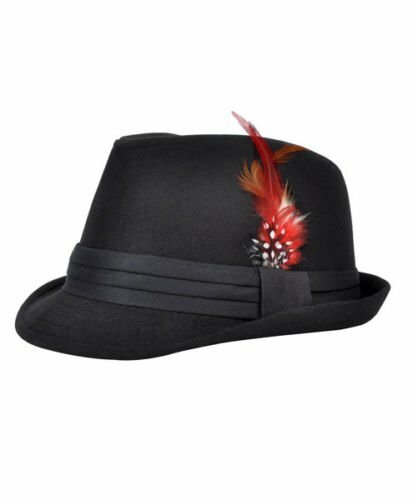 There are some real Trachten hats out there, usually made in Germany or Austria (e.g. Collins Wien), but they tend to be very expensive. 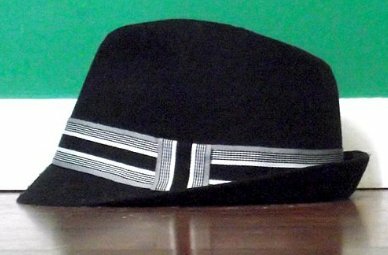 Upon further research I found that the closest cousin to the Trachten hat is the Trilby hat (aka "Brown Trilby") This British counterpart to the Fedora dates back to 1894, and has a top that is slightly less conical, but has a similar highly angled and thin-brim (as opposed to the Fedora which is wide brimmed), with a nice tight flip in the back brim. I found this one new on the Bay of E for a mere $7. So I've been working on an SCA project, so my steampunk stuff hasn't gotten much attention, but I wanted to wave to everyone and say hi. After I finish my SCA projects, I have a pattern for a very nice waistcoat that I'm going to be making. I keep seeing this really cool map fabric that I want to use for it. I may have to buy a new pair of boots I've already worn out the first pair. It turns out that the stiff leather insoles are a must *with* metal re-inforcement as well. 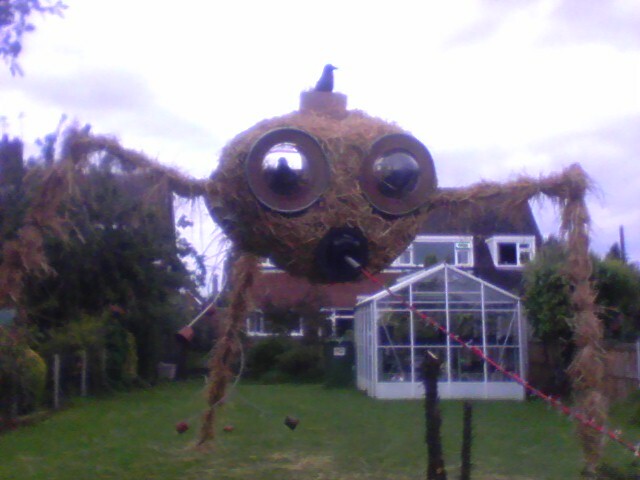 Still functional (hence costume and rain-worthiness), but don't know for how long. The boots may not survive till December. The inside liner of the boot is badly frayed now, and exposing the rubber outsole. The metal washers did help keep the keep the shape of the hollow rubber outsole under the heel intact for a very long time, so there was no uneven wear on the outside, but the rubber sole on the ball of the foot, while solid, is in fact very thin, so once it wears to the point of making a hole on the rubber sole, the boots will become useless (not weatherproof). Ah yes. Do buy these boots one full size smaller. I'm tired of wearing double thickness socks. My stuff arrived today! All of it! And with plenty of time before the All Hallows' Eve!! I'm so exited! Now it's time to start making the final modifications! I'm too tired tonight, but maybe tomorrow night. I'll start. Everything looks perfect, save the "Chief patches were a bit smaller than I anticipated - yet they should work fine. 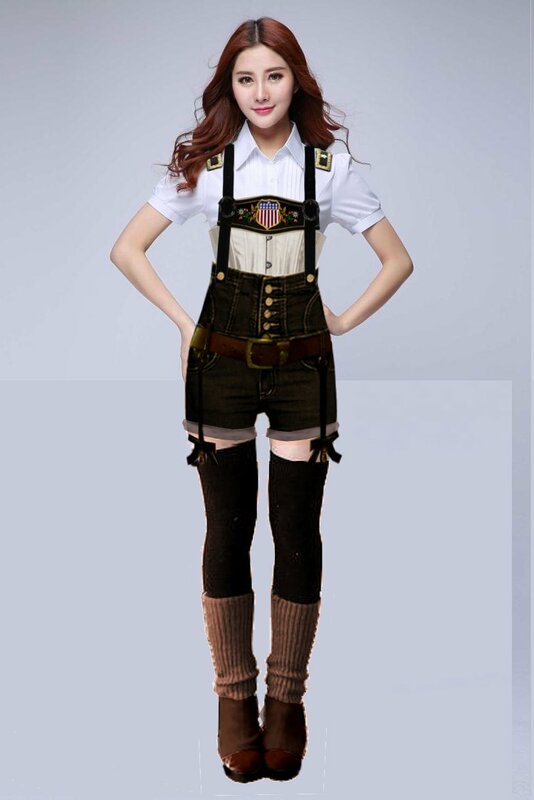 The Lederhosen braces look great. I'll be working on them soon. The "flag" shield turned out to be exacty the same size as I drew on the photosgop rendition above, so it's just a perfect fit. The hat is beautiful!! Really great. I won't have time to order a US insignia patch for the hat, but that may not be needed. IS there is a chance to show the SCA projects on Brassgoggles? In other news, I have already finished the braces/shorts assembly. The picture below is of the items just before I started sewing the patch (which is why it looks crooked), and a pair of large solid brass buttons that hold the trachten braces to the shorts, just to show real life proportions. 2) the denim material is stretchy, so the rivet could easily pop off under stress. I used the "shank technique" to sew the large brass buttons, with multiple thread passes - they should last a lifetime. The reinforcement patches themselves are sewn in all around and also glued with latex cloth adhesive to provide maximum strength to the buttons. The only things missing are the shoulder boards insignia sewn onto the blouse. As soon as I can I'll post. Unfortunately, this Sunday I have to attend a family member's funeral, so there will be no progress on the suit, or photos this weekend. I don't see why I couldn't share my SCA projects here. I wasn't going to because I figured it would be too far off-topic to be relevant and would not be welcome. Actually it's probably not off topic; it could be an Anatomical subject or a Theoretical subject. It is however, in the minority of participation, because most people at BG don't do SCA or American Civil War re-enactment (plus some people may choose to make it political in an international forum, whereas northern/southern identity is a uniquely American phenomenon perhaps only well understood by Americans). I am a SCAdian, steampunk, and an ex-Civil War, WW2, and Vietnam re-enactor, actually. I'm looking to get back in to all three when time and funds allow. Take your time and whichever you choose be sure to bring photos. Page created in 0.665 seconds with 17 queries.